3. 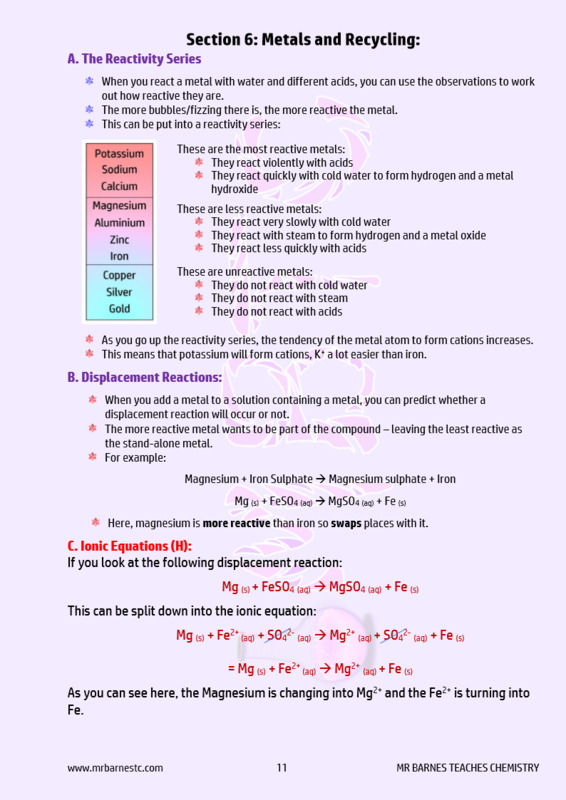 How is the Reactivity Series linked to electronic configuation? 4. Ores - How do we Extract Metals from the Ground? 6. 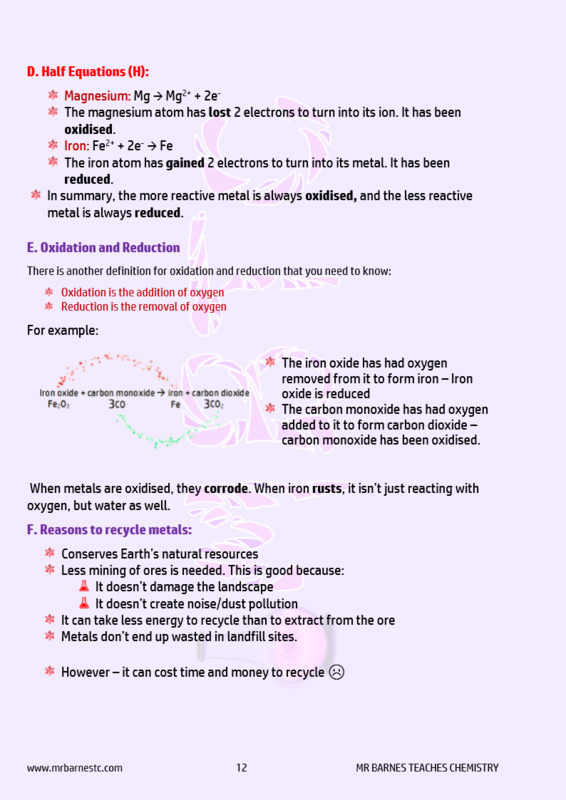 How does Metal Extraction involve Reduction? 7. 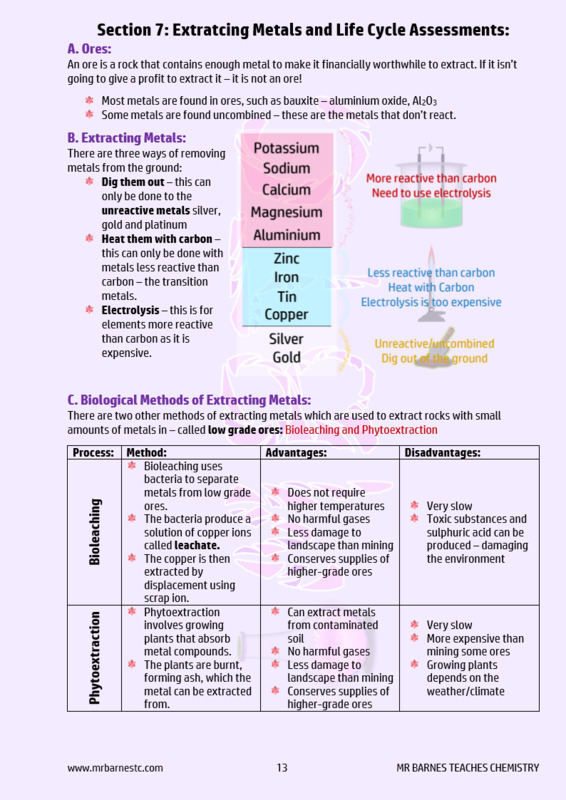 How do we Extracting Metals from their Ores based on reactivity? 8. What are Bioleaching and Phytoextraction? 10. 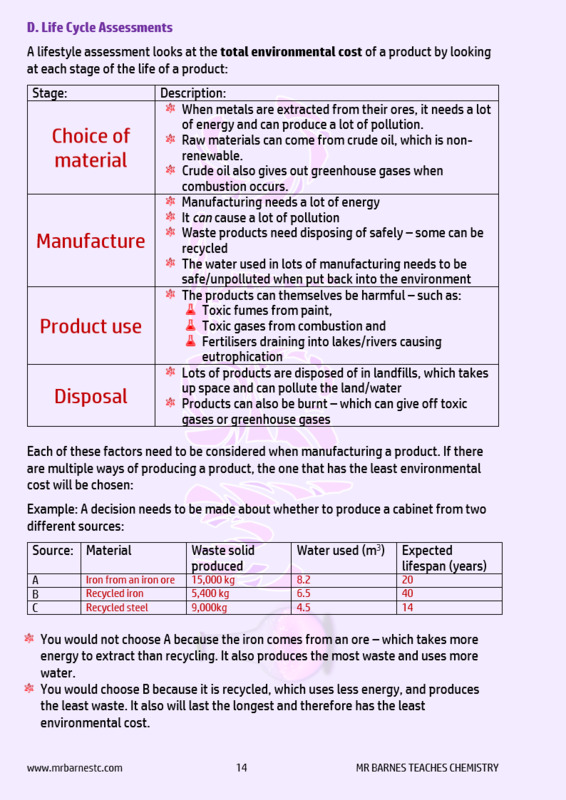 Why should we Recycle? 11. What is a Life Cycle Assessment?